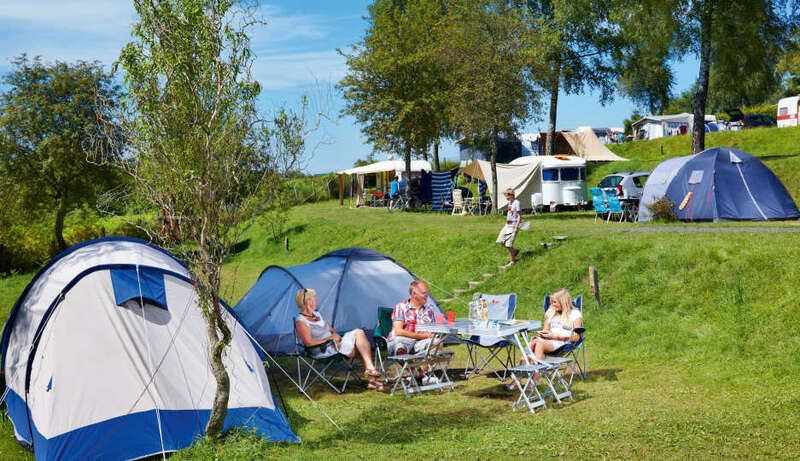 The campingpitches at Ardennen Camping Bertrix offer +-100 m² of space and a 10 amp. power connection. As may be expected from a quality campsite the location is beautifully green, well drained and offers camping pitches in the sun or under the trees. On many of the campsite pitches you’ll find a water tap, part of the pitches offer their own tap. The sanitary facilities are of a premium quality and for children there is special sanitary equipment.